Zurich, Switzerland | April 2nd, 2018 — Lykke, a FinTech company building a regulated, blockchain-based global marketplace, and Quanta, an Ethereum-based project to increase the transparency of lotteries via its regulated lottery product, will add the Quanta Network Token Utility (QNTU) to the list of tradable assets on the Lykke Exchange. QNTU token trading on the Lykke Exchange is expected to begin on May 16, 2018. Lykke is a multinational Swiss-based Fintech company building a global marketplace for the low- friction exchange of financial assets. Lykke’s mission is to democratize finance by leveraging the power of exponential technologies, including the blockchain; eliminating market inefficiencies; promoting equal access to financial markets from anywhere in the world; and supporting the trade of any object of value. For more information, visit https://lykke.com. Quanta is a blockchain-based project, utilizing smart contracts in order to ensure fully transparent background in lotteries. With the implementation of numerical algorithms (namely Random Number Generation), Quanta minimize the opportunity of cheating and manipulation in gambling. As a result, such approach will reduce the stigmatization of lotteries and increase the confidence amongst potential players. The lottery under Quanta is not only fully safe and reliable, but also easily accessible worldwide. 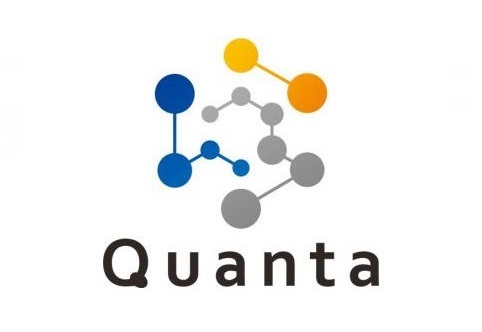 For more information on QNTU, visit https://quantaplc.im or www.myquanta.im for Quanta’s lottery product. This agreement will make QNTU tokens available for buy and sell orders on the trading venue of Lykke Netherlands B.V., which carries a number of tokens and cryptocurrencies. Investors from a wide range of jurisdictions can access the Lykke NL trading venue through the free Lykke Wallet app for iOS and Android.